Sutton Park is located to the North of Birmingham and is within easy reach of three major motorways, the M6, M5 and M42. 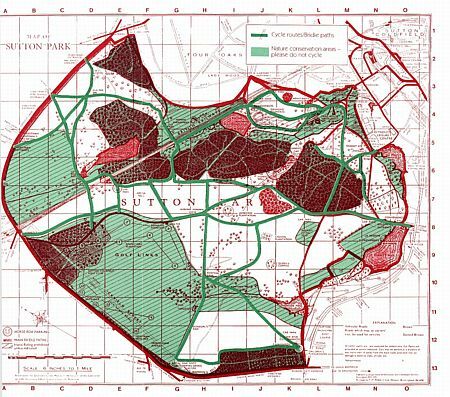 There are also excellent rail links to the Park with stations at Sutton Coldfield (town centre) and at Four Oaks. For the location of Birmingham and of the park, see the Google map. 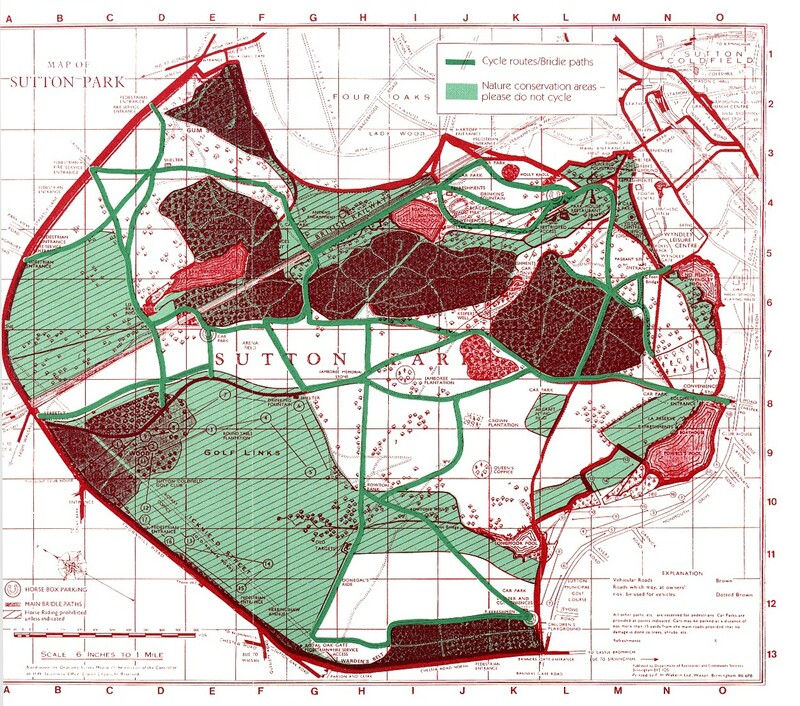 A large map of the park can be downloaded from the Birmingham City Council website. 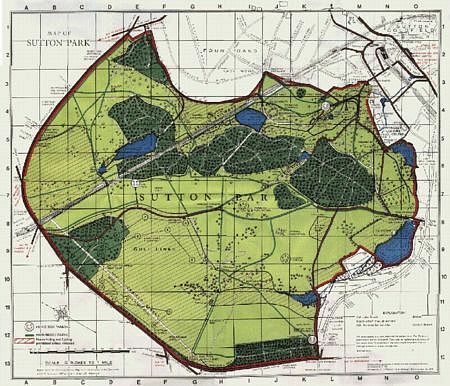 Please note that the 'standard' map of Sutton Park, used in many of the publications obtainable from the Visitor Centre, is not aligned north-south; instead the top of the map is roughly north-east. The smaller maps used on other web pages in this site have the normal orientation with north at the top. Click on the map below to see a larger version (516K). Afterwards, press the back button on your browser to return here. Click on the map below to see a larger version (672K). Afterwards, press the back button on your browser to return here.